By Sophia Nicolov and Andy Flack, University of Bristol, for the Animal History Museum In 2012, Peace of Mind Dog Rescue saved two thirteen year-old dogs called Fox and Bear from a shed where they had been kept for the past six years. Their guardian had died and his wife decided to move the dogs out of the house and into a dilapidated shed in the garden. After they had been found, their physical condition was such that they needed extensive veterinary care. Following six months in foster care, a couple, Kathryn and Bruce, decided to open up their home to them. These animals were given the chance to live their own lives and, as Kathryn says, "just be themselves." Even though Fox died only ten months later, she was at least able to pass away in a loving home which was the very least she deserved. We tend to choose certain breeds in light of our own desires, keeping them in ways that are convenient to us. That's why certain breeds such as labradors and spaniels, with their soft, glossy, coats and floppy ears seem to appeal to many of us so much more than many other breeds and crossbreeds. Aside from appearance, we also tend to prefer animals whose behavior is easily molded and suited to our lifestyles and personalities. Breeds such as the staffordshire bull terrier, mastiffs and pit bull terriers are tarnished with a certain reputation; physically, with their muscular form and distinctive head-shape, they are not necessarily what many people want, while their behavior is stereotyped as aggressive. Shelters across the U.S. are crammed full of dogs like these, waiting for people to adopt them. The end result is often euthanasia because there are simply too many of them. Add age to the mix and the problem becomes seemingly insurmountable. Through our relationships with animal companions we can appreciate the love and personal characteristics of each individual animal. We hope that someone who loves animals just as much as we do would also recognize that. Anyone who shares a life with a companion animal would want, if they passed away, their animal not to be overlooked, leaving them to face a lifetime of loneliness, simply because of their age. Animals might be our companion species, but we are also companions to them because human-animal relationships are two-way. Just because we can no longer look after them does not mean that they no longer need family. Often the elderly are less valued by our society and they tend to become peripheral and this applies across species whether it's the animals subject to culls in national parks, through to zoo animals and, in this instance, companion animals waiting to be adopted into new homes. Perhaps it's time for this attitude to change? While some animals might only live for a few months, it's important to recognize that mature dogs and cats, even though they are old, and despite our own anticipation of distress when they shortly pass away, continue to need companionship and happiness until the end of their lives. Having an animal in our lives is good for our own sense of wellbeing and this is heightened when that animal really needs us. One of the kindest acts after instances of neglect and abuse is to give animals the chance to live out their final years in a safe home. It also provides a fulfillment to the human in the relationships and it has also been said that older dogs can often be perfect family members and companion animals for older people. The Animal History Museum's exhibit, "Stories of Older Animal Adoption," is about two species who have completely transformed each other's lives and explores the impacts of the coming and growing together of humans and older animals. One example that stands out is that of Lori Fusaro and her pit bull Sunny. 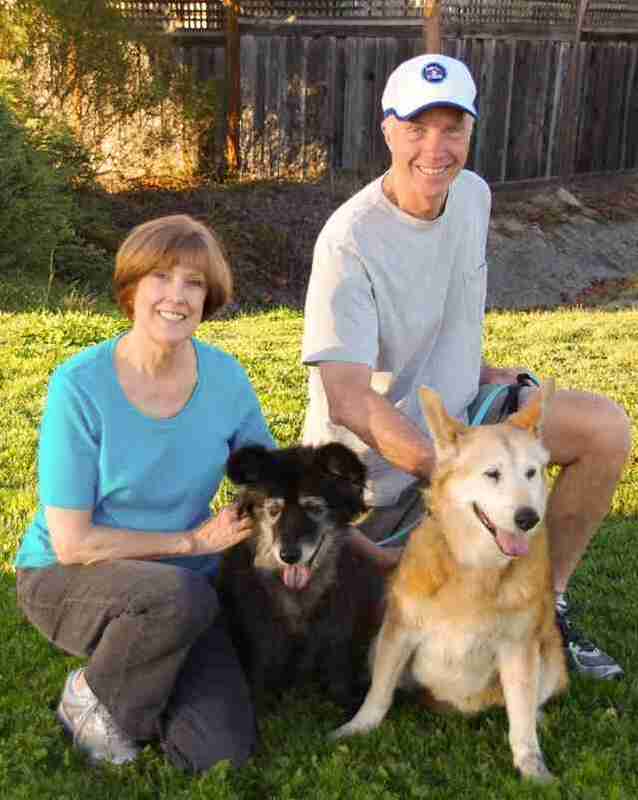 She was able to extend the life of a dog who was not only adopted at the grand old age of 16, but who also had cancer, infected eyes and who was depressed. Believing she would only be giving this dog a few final weeks of happiness, Sunny is amazingly still alive more than a year later. 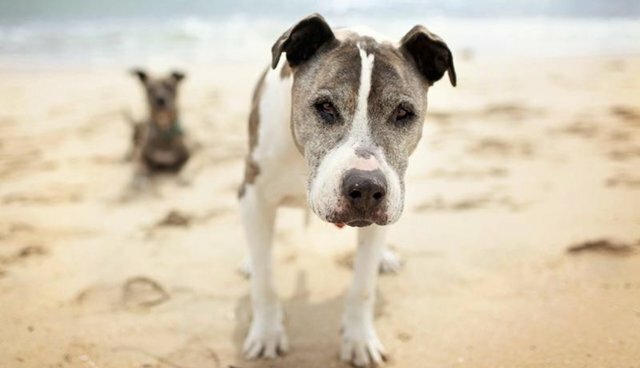 She refers to older dogs as "wise old souls," indicating a sense that these animals have personalities and individual lives which are valuable and that it is the spirit of the animal that is important rather than its aged body. 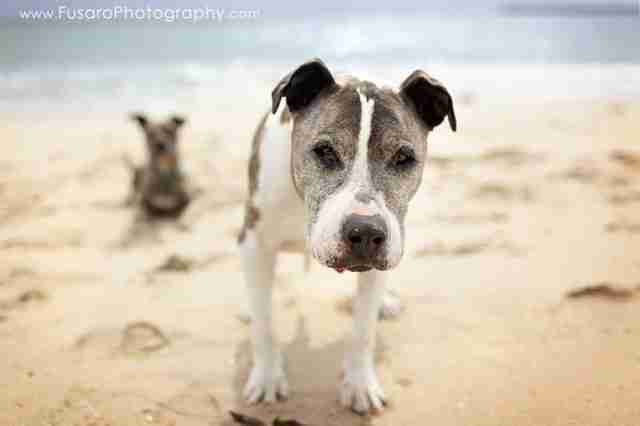 Lori is the founder and creative force behind the Silver Hearts Project, which aims to showcase the spirit and beauty of mature dogs, and is involved in other senior animal and pit bull rescue organizations. When Lori first started this work, she was struck: "how can I let a dog that's given a family sometimes the best years of their lives ... I'm getting all choked up ... to die alone, I couldn't let that happen." Sometime around Spring 2013 the Animal History Museum Executive Director and Lori met in Culver City, a suburb of Los Angeles. Over a cup of coffee, they chatted about their soft spots for older animals (the director had a 13-year-old rescue kitty of her own). They also noted that the Museum's online art gallery would be a great platform to engage a national audience on the value and emotional rewards of senior animal adoption. Together, an idea for an exhibit formed and Lori graciously allowed the Museum to use some of her images as the basis for a collection of photographs of animal and more-than-human relationships. A few weeks later, Lori's work went viral and enjoyed a huge amount of media attention. To view the exhibition visit here. Follow us on Twitter at @flackyslegion and @animal_history.